By ‘recovery’ we don’t mean that people can recover from dementia – but that people can recover voice, control, identity and a place in their relationships and communities which sometimes get lost. We believe that people with dementia should have the opportunity to discover new skills, new relationships and a new perspective on life. Richard expanded on this, giving examples of exactly what ‘other people’ did. ‘Other people test me, correct me, point out my mistakes, talk over me, ignore me and sometimes blame me’. His peers around the table all agreed, mentioning anything other than the organic process going on in their brains as their biggest complaint about living with dementia. The brain may be losing its potential over time but so many other factors prevent people reaching that potential. So we believe recovery IS possible – in terms of recovery of voice, choice, control, identity, citizenship and belonging amongst other things. Our work has provided countless examples of a recovery. Elaine, York Minds and Voices DEEP group. Since we started in 2007 we have been inspired by people with dementia who have shown us time and time again that while a diagnosis of dementia might be life-changing, it need not be life-ending. By inspiring challenging and different conversations about the lived experience of dementia. Innovations in Dementia are seeking to develop a newly emerging narrative about dementia across the UK. We adopt a philosophy of recovery and rights, within the social model of disability. 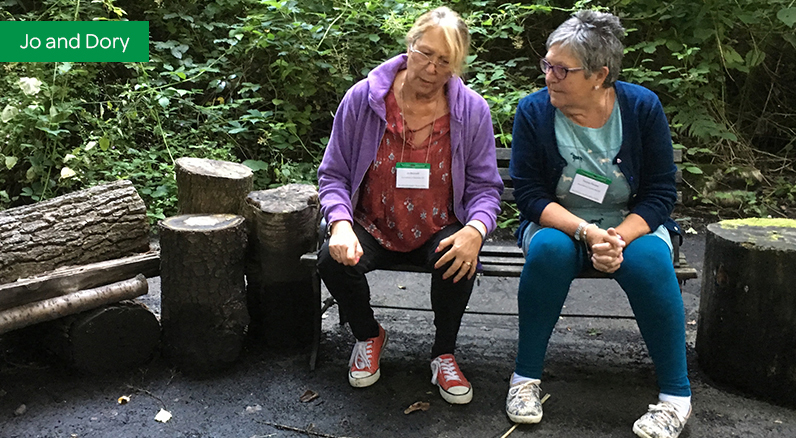 We aim for our conversations to be co-led by people with dementia themselves, who will be remunerated as consultants/trainers as any expert should. This participatory approach will ensure people with dementia (the beneficiaries of services) are proactively engaged in the development and design of services, rather than passive recipients. We can help you introduce a service designed developed and delivered by people themselves. Contact us if you wish to be at the centre of policy and practice innovation in your area. Dementia Enquirers: The aim of the 3 ½ year project is to develop a new approach to research, or ‘enquiry’, that is led and controlled by people with dementia themselves. The BIG Lottery Fund has awarded over £700,000. The project runs from October 2018 – March 2022. Innovations in Dementia will support people with dementia to explore how knowledge is acquired and applied in a way that feels relevant to their own lives. They will be involved in identifying research priorities, and, helped by small grants, in planning and undertaking their own research. 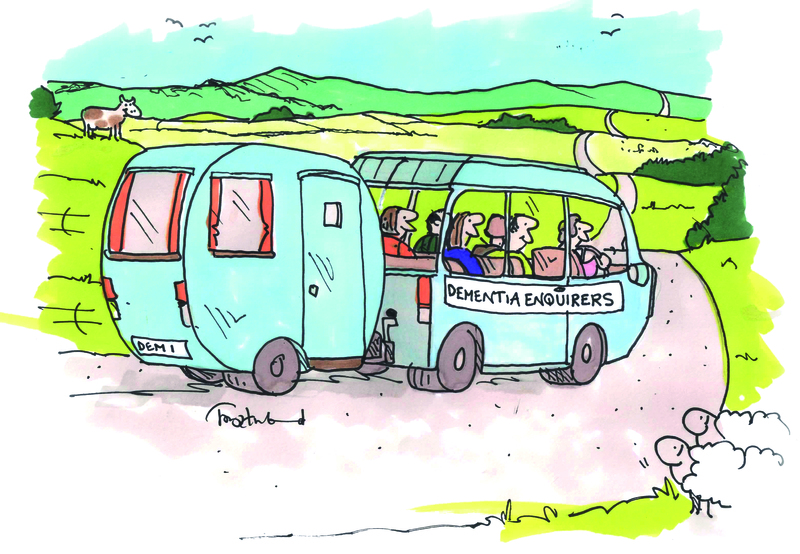 Dementia Enquirers will support up to 20 DEEP groups to conduct their own small-scale research projects. Many groups have been involved in research studies carried out by universities. However, this project will give people with dementia a chance to lead, and be in control, of their own research – on issues that are important to them. Training, guidance, support and ideas will be available to help groups to build their own research skills and expertise. University researchers may be involved as advisors or have roles in the projects. Small grants will be available for groups to get on with their own research projects. These groups will be encouraged to share their learning with the rest of the DEEP network. The project will also explore with people with dementia the lessons that emerge from their work, and share this learning widely. We are confident that the project can influence the prevailing approaches in research – while bringing new respect for the skills, expertise and resilience of those who are living with dementia.